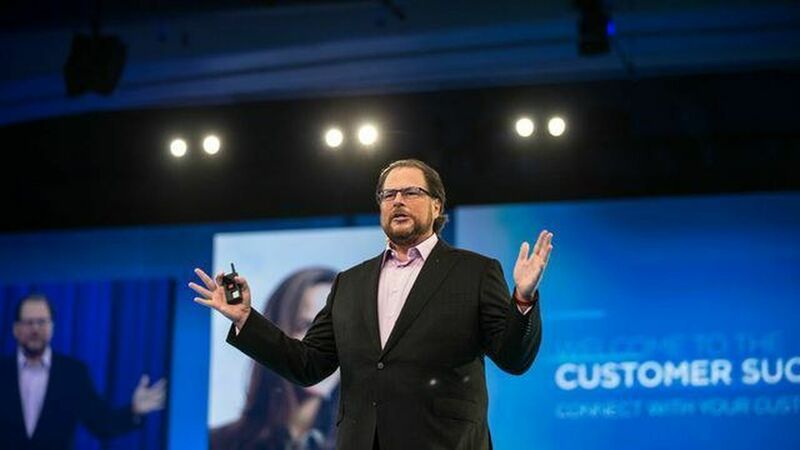 Salesforce CEO Marc Benioff on Friday highlighted all the key societal changes that the Trump Administration either denies are taking place or says are still years off. Speaking at a World Economic Forum event in San Francisco, Benioff said that artificial intelligence, climate change and advancements in biotechnology and transportation necessitate prompt changes to education and job training. "While we are in this incredible shift, this fourth industrial revolution," Benioff said. "It will also come back to be a challenge for equality." Benioff's comments come after Treasury Secretary Steve Mnuchin said AI isn't really on the Trump Administration's radar because it is 50-100 years off. Mnuchin's comments were quickly panned by many in the technology world as it flies in the face of the conventional wisdom that automation and artificial intelligence could eliminate a significant number of jobs in the not-so-distrant future.